On Wings of Eagles: Not the Waves! 26 But when the disciples saw him walking on the sea, they were terrified, and said, “It is a ghost!” and they cried out in fear. 27 But immediately Jesus spoke to them, saying, “Take heart; it is I. 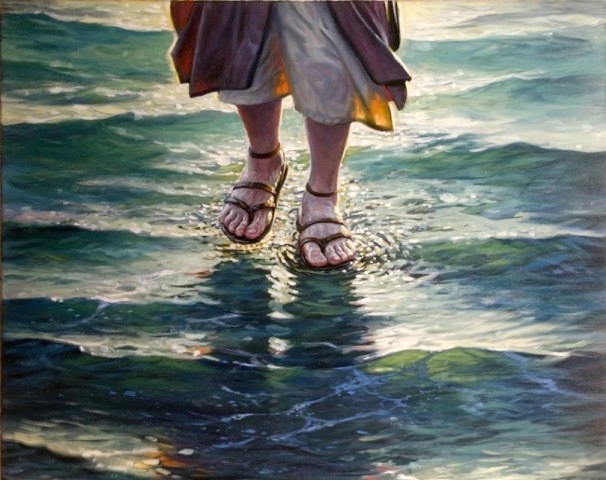 Do not be afraid.” 28 And Peter answered him, “Lord, if it is you, command me to come to you on the water.” 29 He said, “Come.” So Peter got out of the boat and walked on the water and came to Jesus. 30 But when he saw the wind,[a] he was afraid, and beginning to sink he cried out, “Lord, save me.” 31 Jesus immediately reached out his hand and took hold of him, saying to him, “O you of little faith, why did you doubt?” 32 And when they got into the boat, the wind ceased. 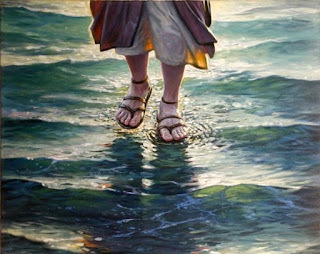 Dear Lord, we pray that when adventure comes in our life we will be ready to walk on the water without fear of sinking. Help us keep our trust in You. In the Name of Jesus, Amen.